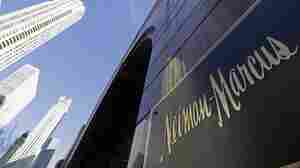 September 9, 2013  Two large investors — Ares Management LLC and the Canada Pension Plan Investment Board — have reached a deal to purchase Neiman Marcus, Inc., for $6 billion, the companies said Monday. The two buyers will hold equal shares of Neiman, which is based in Dallas. December 10, 2012  Cash registers may be on the wane in some stores as more retailers help customers complete purchases using mobile devices. It's convenient for shoppers, and retailers benefit by leaving customers less time to change their mind about a purchase. December 22, 2009  The second round of our Planet Money Top Chef This American Model Survivor Iron Reporter Competition.